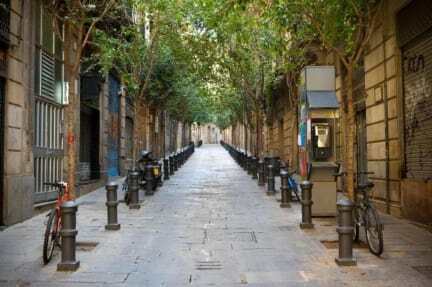 Hostal Nitz BCN i Barcelona, Spanien : Boka nu! I actually liked the hostel, pretty close to the beach and close to the shopping street. There was a basin in the room which was good. No AC. The worst thing was that there was no security box and some of my money got stolen from the room even when it was only me and my sister who shared it and when I e-mailed the hostel I got no response, not even a "sorry".